The Renaissance is rightly celebrated for its creativity in the arts. For the history of psychology it initiated the transition from medieval to modern times. The distinctive development of the Renaissance was the reappearance of humanism: placing importance on individual human beings and their lives in this world as opposed to medieval concern with feudal social status and religious concern with their future lives in heaven or hell. As psychology is the science of individual mind and behavior, it owes a debt to humanism. Read more about the Renaissance. The story of scientific psychology begins with the Scientific Revolution. The scientific revolution did more than create the idea that psychology might be a science, it gave rise to new conceptions of mind and body fundamental to psychology’s development. The Scientific Revolution created the concept of consciousness, around which the first psychologies were organized, and created the concept that the universe is a machine, suggesting that living bodies were organic machines. Read more about The Scientific Revolution. Understanding the place of mind and body in nature gave rise to several schools of thought. The problem of other minds did not become important until after the acceptance of evolution in the nineteenth century. Evolution suggested that contrary to Descartes, animals have minds, albeit simpler ones than ours. Modern controversies over other minds were foreshadowed in L’Homme machine, when La Mettrie tackled the problem of other minds from his materialist perspective. He proposed teaching language to apes, as if they were deaf children. If apes can learn language, Descartes would be refuted and the existence of the soul thrown in doubt. In the twentieth century, when Noam Chomsky revived Descartes’s thesis that language is a species-specific human ability, some psychologists put La Mettrie’s hypothesis to the test. In reaching a Cartesian conclusion, the computer scientist Alan Turing (1912-1954) said we would know computers were intelligent when they used language as well as humans do. 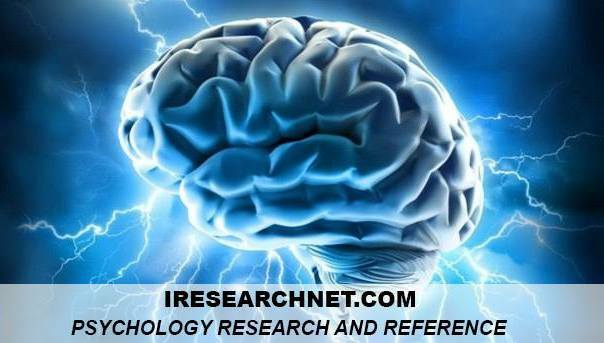 Read more about The Rise of Psychology. In the wake of scientific revolution, social thinkers of the eighteenth-century Enlightenment—the philosophes—began to rethink morals and government along scientific lines. Especially in France, where the most radical ideas abounded, they rejected tradition and religion. The key question was that of moral authority: Why should I do what society tells me to do? In the past, tradition and religion were the sources of moral authority. However, their claims were predicted on the assumption that goodness was a primary, objective property of actions and events. When goodness became thought of as a secondary property, the authority of tradition and religion became suspect. 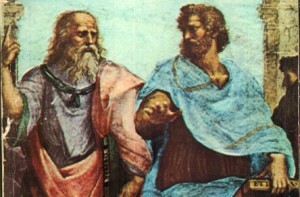 The philosophes turned to science as a superior fount of moral authority. Descartes and his successors subjected every common belief about the mind and the world to conscious, rational scrutiny, and the philosophes did the same for every received belief about morality and society. Again, the key to these new inquiries was human nature: Are people inherently good or evil? Given our nature, what is the just society? Such questions made the human sciences, especially psychology, socially important. It became imperative to settle scientifically the nature of human nature, and perhaps, to replace traditional religious means of social control with scientific ones. As psychological inquiry into the nature of the mind issued in a skeptical crisis, psychological inquiry into human social nature issued in a moral crisis. Read more about Human Nature, Morality, and Society. Burtt, E. A. (1954). The metaphysical foundations of modern science. Garden City. NY: Doubleday. Butterfield, H. (1965). The origins of modern science 1300­-1800. New York: Free Press. Dennett, D. D. (1991). Consciousness explained. Boston: Little. Brown. Farrell, J. (1996). Freud’s paranoid quest: Psychoanalysis and modern suspicion. New York: New York University Press. Gaukroger, G. (1995). Descartes: An intellectual biography. Oxford. England: Clarendon Press. Hampson, N. (1982). The Enlightenment: An evaluation. Harmondsworth. England: Penguin. Leahey, T. H. (2000). A history of psychology: Main currents in psychological thought (5th ed.) Upper Saddle River. NJ: Prentice Hall. Manent, P. (1998). The city of man. Princeton. NJ: Princeton University Press. Outram, D. (1995). The Enlightenment. Cambridge. England: Cambridge University Press. Rorty, R. (1979). Philosophy and the mirror of nature. Princeton. NJ: Princeton University Press. Searle, J. (1994). The rediscovery of the mind. Los Angeles: University of California Press. Smith, A. M. (1990). Knowing things inside out: The Scientific Revolution from a medieval perspective. American Historical Review. 95. 726-744. Smith. R. (1997). The Norton history of the human sciences. New York: Norton. Taylor. C. (1989). The sources of the self: The making of modern identity. Cambridge. MA: Harvard University Press.